SnowWorld gift vouchers - the coolest gift you can give! Do you want to offer someone a unique experience in real snow? Or treat someone to a lovely diner in one of our restaurants? You can make it happen with one of our gift vouchers! You can do so very easily via our website. You can also buy a gift voucher in person at our venue. Gift vouchers to the value of 10, 25 or 50 Euros are valid indefinitely. I have received a gift voucher. What do I do now? 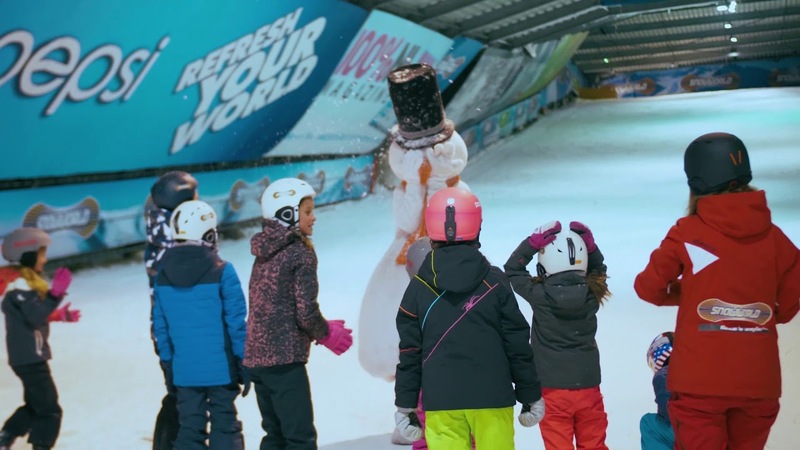 Visit SnowWorld with your gift voucher and head to the service desk. You can redeem your gift voucher to its value. You can also top up your gift voucher; you simply pay the difference in person at the service desk. Must I redeem my gift voucher in one go? No, but any remaining value will be returned in the form of a gift voucher. We have gift vouchers available to the value of €10, €25 and €50. Can I also use my gift voucher to make an online payment? No, gift vouchers cannot be used to make an online payment.